Cisco ATA186 I1 1P CH1 A ATA 186 - VoIP phone adapter [ATA186-I1-1P-CH1-A] : AddVant LLC, IP PBX, IP Phones, WiFi etc. The Cisco ATA 186 Analog Telephone Adaptor is a handset-to-Ethernet adaptor that turns traditional telephone devices into IP devices. Customers can take advantage of the many new and exciting IP telephony applications by connecting their analog devices to Cisco ATAs. The Cisco ATA 186 supports two voice ports, each with its own independent telephone number, and a single 10BaseT Ethernet port. This adaptor can make use of existing Ethernet LANs, in addition to broadband pipes such as digital subscriber line (DSL), fixed wireless, and cable modem deployments. 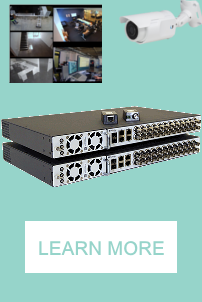 The Cisco ATA 186 helps customers turn their analog phone devices into IP devices cost-effectively and is the preferred solution to address the needs of customers who connect to either enterprise networks, small-office environments, or the emerging VoIP managed voice services and local services market. Enterprise customers are using the Cisco ATA 186 to connect analog phones and FAX machines to their VoIP network. Service providers are taking advantage of emerging telephony applications and the ease of deploying second-line services using the Cisco ATA 186.